Ladbrokes Scottish Premiership outfit Aberdeen FC have become the first club in Scotland to use The Sports Office online performance management system, within all football-related departments of their organisation. Aberdeen – who are well known for their dramatic 1983 European Cup Winners Cup triumph over Real Madrid – began using the system for first team and age group sides, via The Sports Office’s work with the Scottish Football Association’s national player performance programmes. The ‘Dons’ have now opted to implement the system on a club-wide basis, after having recognised how its extensive functionality can support and benefit all aspects of their elite football performance cycle. This includes sports medicine, sports science, statistical analysis, administration, communication and scouting. “We’re delighted to be involved with an ever-growing and innovative organisation like The Sports Office.”, commented Steven Gunn, Aberdeen FC’s Football Operations Manager. Aberdeen remain the only Scottish team to win two European trophies. They also boast many Scottish League and Cup titles and, at time of writing, are second in the Ladbrokes Scottish Premiership table. The Sports Office online performance management systems for football support practitioners involved in the sport at elite, professional level. The systems provide extensive functionality to support coaching, video-usage, sports science, sports medicine, scouting and recruitment, squad management and communication. They also allow the creation of truly personalised performance and development plans for players. The Sports Office has successfully completed the move to new headquarters in the historic Wigan Hall. 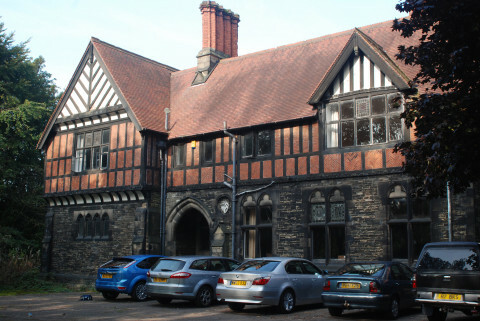 The building, in the Mesnes Park area of the town, was purchased from the Diocese of Liverpool and is Grade II Listed. It was designed by celebrated architect George Street, whose work includes the Royal Courts of Justice in London. Members of The Sports Office team celebrate the opening of our new Wigan Hall offices. Following a period of expansion and business development, both in the UK and overseas, the Hall was identified as a suitable location and its interior has been converted to accomodate all 25 members of The Sports Office team. This includes the company’s coding and testing teams as well as the client management and administration teams. “We are delighted to have moved into these new headquarters”, said Phil Clarke, The Sports Office Managing Director. The Sports Office has converted Wigan Hall for use via a programme of restoration work. This began in December 2014 and is now completed. At all times during this process, all appropriate bodies were consulted to ensure any restoration did not damage or detract from the building’s historical significance. New HQ – The Sports Office have moved into Wigan Hall. Elsewhere in the world of elite sport, clients include NHL franchises, the RFU, Aviva Premiership rugby clubs, leading equestrian organisations, professional tennis coaches, clubs in Rugby League’s Super League and professional cycling teams. A new “load management” module is being developed and will be introduced to The Sports Office system, in the first quarter of 2016. It will offer users a more powerful and accurate means of quickly and effectively evaluating the impact on performance of ALL training and preparation activities. The module – which is being developed after extensive consultation with clients in elite sporting organisations around the world – will dynamically bring together data previously held in the Preparation and Sports Science areas of our system. A player/athlete tracker is also at the heart of the load management functionality. This provides an array of user defined options for monitoring, including the ability to see individual and team information. Clarke added:“Our fundamental company objective is to add value to every aspect of preparation and performance and we have listened carefully to feedback from our clients in order to ensure they benefit from sports science and sports medicine in the most effective and efficient way. The load management module – which also offers a more visually engaging overview of information – will create further improvements in the performance workflow via dedicated areas which display data for staff with specific roles . The ability to immediately identify incremental deviations from ‘ideal’ workload, established via internal benchmarking and testing. Greater data granularity – creating opportunities to more accurately assess overall training load. The flexibility to use different technical methods for load calculation – including mechanical, locomotive, metabolic and psychological load (RPE and TRIMP). The ability of The Sports Office online performance management systems to offer instant access to accurate reports based on load management readings will also be retained within the module, as will the capability to send “alerts” to staff opting to receive them. The Sports Office Client Management team will communicate with all clients in 2016 to explain more about the new module and respond to any further feedback. The Sports Office supplies online performance management systems to many elite sporting organisations including football clubs, competing in the world’s most high-profile competitions. These include Manchester City and Chelsea FC in the Barclay’s Premier League. Several major national governing bodies have also chosen to adopt The Sports Office. One of these is the Scottish FA, who use it throughout their structures, including for all their national teams and at all seven of their Performance Schools. The Sports Office has opened a base in Sydney, as the company continues its successful expansion and development in Australasia’s high-performance sport sector. Several teams in the region’s elite sporting competitions are already using The Sports Office online performance management systems. These include Melbourne City FC in the A-League, Super Rugby franchise Auckland Blues and St George-Illawarra in the NRL. Melbourne City FC (above) are just one of The Sports Office’s clients in the Australasian high-performance sports sector. Further expressions of interest are being received and the creation of this new office will allow for successful business development and enable excellent client support and service levels. The Sports Office Sydney HQ will be lead by Rex Proctor, who has previously held senior positions in the sports technology sector. He commented: “This new location in Sydney creates the opportunity for The Sports Office to work with new clients throughout Australasia. The region has many of world sport’s most successful organisations and we look forward to meeting with them to demonstrate the power and capability of our systems. The Sports Office Managing Director Phil Clarke added: ”The opening of our Sydney office is an important and significant development for us. The new Sports Office base is located near Sydney’s city centre. It can be contacted here. The company supplies online performance management systems to many elite sporting organisations including football clubs, competing in the world’s most high-profile competitions. Manchester City and Chelsea FC are just two of these, in the Barclay’s Premier League. The Scottish FA have also chosen to use The Sports Office’s software throughout their structures, including for all their national teams and at all seven of their Performance Schools. Other clients from elite sport include the RFU, the British Horse Racing Authority, Aviva Premiership clubs, clubs in Rugby League’s Super League, elite tennis and professional cycling teams. 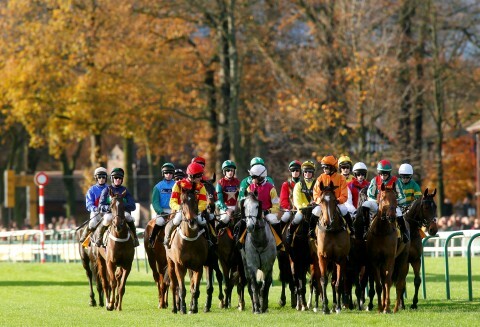 British Horseracing Authority works with The Sports Office. In a landmark move, The Sports Office is to supply the British Horseracing Authority (BHA) with an online performance management system (PMS), to support the Jockey Coaching Programme for the Apprentice and Conditional Jockey Coaching Programme, managed by the British Racing School and Northern Racing College. The programme provides technical skills training and strength and conditioning training as well as career development, diet and nutrition advice and mentoring, for both flat and national hunt jockeys. This Sports Office system – dubbed The Jockey Coach – has been created with bespoke functionality for the racing industry and will enhance all aspects of programme delivery. This includes skill development sessions and racecourse walks, as well as the real-time sharing of performance reports and feedback between jockeys and their coaches. The Jockey Coach system will also allow performances in races to be assessed, with feedback forming part of regular reviews undertaken by apprentice and conditional riders. “The agreement to supply the BHA with The Jockey Coach performance management system is an exciting new development for The Sports Office. Working with a client in equine sport is a first for our business and we look forward to supporting the coaches and riders involved in the Jockey Coaching Programme“, commented The Sports Office Managing Director, Phil Clarke. Gill Greeves, BHA Vocational Training Manager, said “This initiative is a great move forward in our provision of training and development for jockeys who are Racing’s elite athletes. BHA is grateful for the guidance and support offered by The Sports Office in developing this unique system and to the BRS team and Gemma Waterhouse who have managed the project”. The Sports Office is supplying the British Horseracing Authority with an online performance management system, to support the Jockey Coaching Programme for the Apprentice and Conditional Jockeys. The powerful functionality for sharing coaching videos, common to all performance management systems provided by The Sports Office, is another aspect of the The Jockey Coach that will benefit BHA programmes. The training is organised in clusters and coaches work with a group of around 10 apprentice jockeys in different regions of the UK. Real-time communication, administration activity and information sharing between these will also be enhanced by the PMS. The Jockey Coach will also receive various API feeds to drive a live dashboard, tracking rider appearances, wins and positions within flat and jumps championship tables. Some of racing’s biggest names are coaches within the BHA programme. These include Peter Scudamore, Mick Fitzgerald, Carl Llewellyn, Kevin Darley, John Reid, Steve Smith-Eccles, Mark Bradburne, Michael Hills and Warren Marston. Many other highly experienced and respected riders are also involved. The Sports Office supplies online performance management systems to many elite sporting organisations including football clubs, competing in the world’s most high-profile competitions. Other clients from elite sport include the RFU, Aviva Premiership clubs, clubs in Rugby League’s Super League, elite tennis and professional cycling teams. A guest blog by The Sports Office Expert Consultant, Dr Bill Gerrard. The Michael Lewis book, Moneyball, has had a massive impact on sports analytics since its publication in 2003, reinforced of course by the Hollywood movie starring Brad Pitt released in 2011. Moneyball has promoted the possibilities of using data analytics in elite sport to gain a competitive advantage. Nothing persuades like success and the Oakland A’s in North America’s Major League Baseball have been extraordinarily successful in making themselves competitive with rival teams spending triple their salary costs and more. The 2015 regular season will be the first since 1998 that the A’s will post a win percentage below 50%, an amazing achievement for a team consistently amongst the lowest spenders in the competition. But once you start digging below the headline message that you can win with analytics, the significance of Moneyball has not yet I believe been fully appreciated. And the reason for this lies in the nature of the original context, baseball. Moneyball detailed how the A’s General Manager, Billy Beane, used data analytics to improve the effectiveness of player recruitment. Beane, influenced by the insights of Bill James and other baseball statisticians [ or sabermetricians], took advantage of the sports’ attachment to conventional metrics for measuring hitter and pitcher performance and started to use statistically superior metrics. 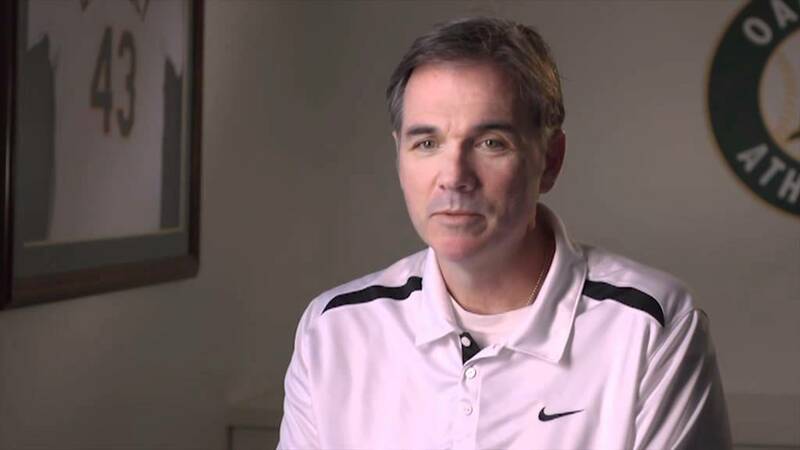 Oakland A’s General Manager and sports analytics pioneer, Billy Beane. On-base percentage [which measures how often a hitter gets to base irrespective of how he gets there] was one such metric, largely ignored by other MLB teams but shown by James to be a better measure of what a hitter contributes to the team’s offence. Beane realised that he could buy wins more cheaply by targeting players with an above-average propensity to be walked to base, an undervalued skill in baseball’s labour market. So when other teams in other sports tried to follow the Moneyball approach, it was only natural that they should perceive the main contribution of data analytics as supporting the player recruitment function. Thus data analytics largely became the preserve of the front office in sports teams, supporting the GM, the technical/sporting director and the head of scouting. It quickly became an exercise in big-data analytics as teams constructed large databases populated with player performance data covering leagues around the world, over several years. The use of data analytics to support player recruitment has not been universally accepted and there remains considerable resistance in many teams. One of the main reasons for this resistance is the misapprehension that data analytics offers an alternative to traditional scouting methods. It doesn’t. Analytics is ultimately about using all available information as efficiently as possible to support decision making. In the specific case of Moneyball it is about using the numbers better by identifying superior metrics. But more generally it is about using all the available information effectively including scouting reports and video. How often is valuable information contained in scouting reports ignored and left to gather dust? And using information effectively necessarily requires construction of a database in which to store all of the information in a systematic way that makes it easy to access and analyse. A more analytical approach should mean getting much more out of the scouts. If anything Moneyball has been a bit of an albatross in this respect since for dramatic purposes the film highlights the conflict between scouts and analysts, and ignores the reality that most teams with effective player recruitment, including the Oakland A’s, adopt a very systematic, evidence-based approach to scouting that combines data, video and attending games. The New England Patriots in the NFL are a great example of team-specific scouting that pulls together a huge array of information on potential recruits in a very rigorous manner in order to identify not the best players but the players that will best fit the needs of the Patriots and their system of play. Baseball is a striking-and-fielding sport and as such is highly individualistic with relatively little need for tactical co-ordination between players. Not surprisingly baseball analytics is largely about measuring individual player performance to feed into the GM’s player recruitment decisions. But the significance of Moneyball for other sports goes beyond applying data analytics to player recruitment. In the invasion team sports such as the various codes of football, rugby, hockey and basketball, the spatial dimension is critical, with players continuously having to make decisions in and out of possession on where to position themselves. Success in the invasion team sports requires tactical co-ordination. Coaching decisions on team selection and game tactics can all benefit from data analysis support, alongside the traditional video analysis. Data analysis can give breadth of coverage to complement the depth provided by video analysis. And just as video analysis is coach-led, with the performance analyst providing video clips on demand, so too with data analysis. Effective data analytics must be coach-led, analysing the available data to meet the needs of the coaches. Applying data analytics to tactical issues represents one of the leading-edge developments in sports analytics currently. It is this type of analysis that sets apart teams such as the Houston Rockets and the San Antonio Spurs in the NBA. And it is the type of approach that I helped co-produce with the coaching staff at Saracens, one of the leading rugby union teams in Europe. Over the period 2010 – 2015, Saracens developed a sophisticated internal data collection system in which the coaches and performance analysts analysed all aspects of their games using their own team-specific definitions and including expert evaluations of players’ decision making and technique. I helped identify a comprehensive set of player and team key performance indicators (KPIs) that were tracked across all games. Data analytics was also applied to produce detailed reports on forthcoming opponents, identifying their strengths and weaknesses. This data analysis complemented the video analysis and indeed sought to provide a general context within which the coaches could interpret game videos. So don’t see Moneyball just as a roadmap on how to do player recruitment more effectively by using statistics rather than scouts. See it as a powerful argument for sports teams embracing an evidence-based approach to all sporting decisions that utilise data analysis alongside video analysis in a coach-led process. Don’t restrict data analytics to the General Manager’s or Chief Executive’s office particularly in the invasion team sports. Data scientists have as much a role to play on the training ground, supporting the day-to-day decisions of the coaches as performance (i.e. video) analysts and sports scientists. Moneyball is, after all is said and done, a starting point not a destination. Professor Bill Gerrard works as an expert consultant to The Sports Office. Our online Performance Management Systems offer a range of functionality to support elite performance, including powerful information management and data analysis capabilities. Please contact us today to learn more about how our systems can be used to build a robust database; and how to generate insight and intelligence from this, so that sporting organisations can find the winning edge. Fulham FC have become the latest club to use The Sports Office performance management system. They join a list of elite soccer organisations that includes clubs from the Barclays Premier League, and the Sky Bet Championship, as well as clubs from the MLS in North America and the A-League, in the southern hemisphere. “We are delighted that another leading club has chosen us to provide them with an online performance management system”, commented The Sports Office Managing Director Phil Clarke. The Sports Office systems provide all clients with a wide range of functionality to support their coaching and performance activities. These including athlete monitoring, sports science, sports medicine, data analytics and information management, as well as coaching and scouting. Recent enhancements to the system have included the video and medical elements. These developments offer even greater benefits to users, seeking to optimise their preparation and performance activities. The Sports Office works with many elite football clubs, competing in the world’s most high-profile competitions. These include Manchester City and Chelsea FC, also in the Barclay’s Premier League, Toronto FC in North America’s MLS and Melbourne City in Australia’s A-League. The Scottish FA have also chosen to use The Sports Office software throughout their structures, including for all their national teams and at all seven of their Performance Schools. Other clients from elite sport include the RFU, Aviva Premiership clubs, clubs in Rugby League’s Super League and professional cycling teams. The Sports Office is delighted to confirm that leading Barclay’s Premier League club Chelsea FC have chosen to use our online performance management system for all first team medical activity. The club, which is currently top of the League table, will now have access to extensive functionality to manage all medical procedures. This includes a range of medical reports and information for individuals and teams, that can be accessed quickly and easily. These allow sports medicine practitioners to record, review and audit relevant information relating to treatment, medication and injuries. The Sports Office medical module is also protected by bank level security, ensuring complete integrity and confidentiality. The Sports Office Operations Manager Rob Jackson commented: “We welcome Chelsea FC to our client roster and we look forward to working with them to ensure that they gain the maximum possible benefit and value from our systems. The Sports Office medical module was recently enhanced via the addition of a medication tracking feature, which allows real-time, accurate monitoring of dosages to players and athletes. This new functionality also enables sports medicine practitioners to efficiently manage their medication inventories, as well as offering them the ability to quickly and easily carry out audits of current medication practices. Detailed medication reports can be generated and the system can send e-mail notifications, which act as prompts and reminders for treatment and other medical activity. The Sports Office works with many elite football clubs, competing in the world’s most high-profile competitions. These include Manchester City, also in the Barclay’s Premier League, Toronto FC in North America’s MLS and Melbourne City in Australia’s A-League. The Scottish FA have also chosen to use The Sports Office’s software throughout their structures, including for all their national teams and at all seven of their Performance Schools.